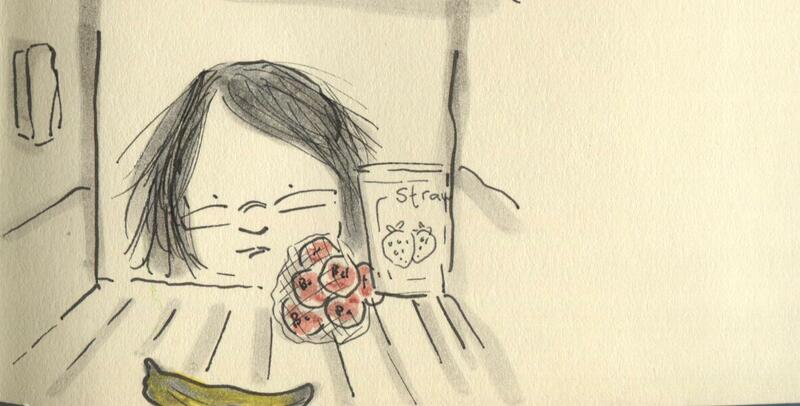 Posted on November 27, 2013, in Uncategorized and tagged bananas, Doodlemum, Drawing, Family, fridges, Humour, Illustration, Life, Pen and Ink, Sketchbook. Bookmark the permalink. 13 Comments. Where can I get one of these fairies? When they’re done with your kitchen, can you send a few my way? Eu tenho em cima da minha um pingüim…eu só queria quebrar o gelo. ….. I must try and be good then! That reminds me of the two lonely beetroot at the back of mine ….. I thought you weren’t supposed to put bananas in the fridge?